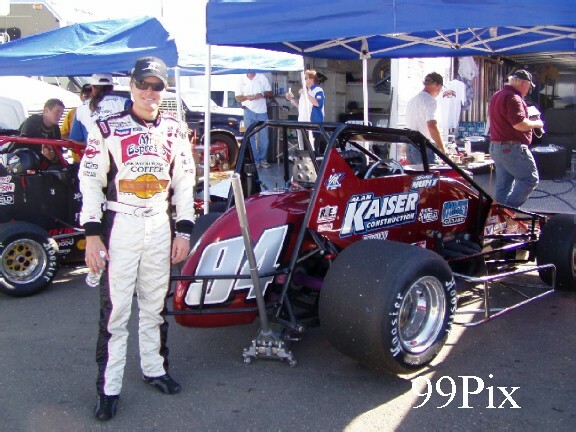 INDIANAPOLIS – Tim Barber #14 of San Francisco led the final 40 laps of Saturday’s USAC Western Sprint Car Series 50-lap race at Stockton 99 Speedway in Stockton, Calif.
Barber, in the No. 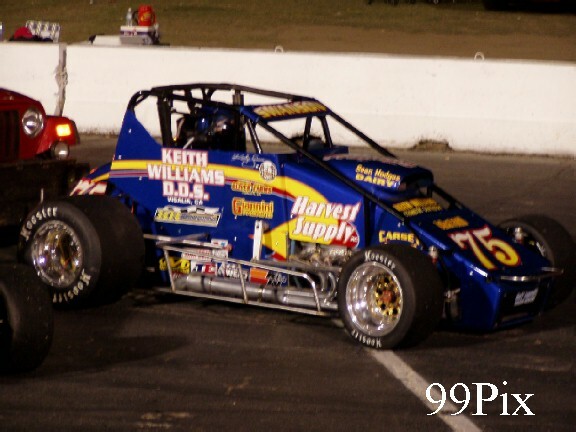 14 Ken Pierson owned entry, wrestled the point away from Robert Beck and was never headed thereafter, beating Michael Trimble, Jeff Gardner, #75, Kody Swanson and Cody Veenstra, #07, to the checkered flag. 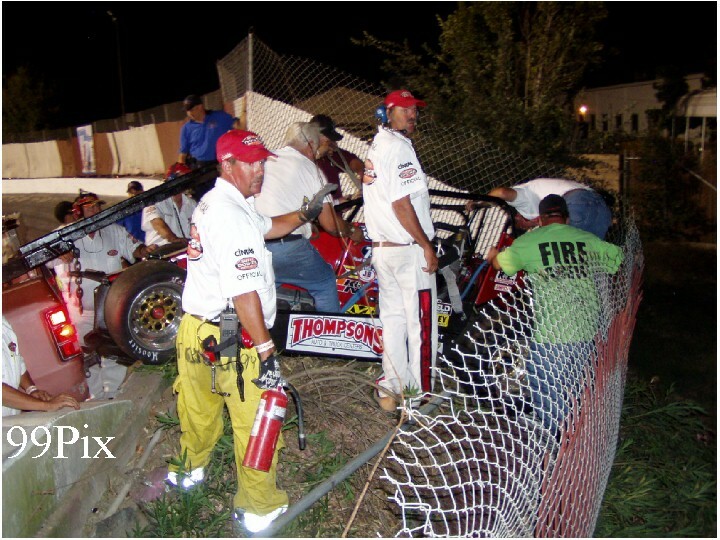 Fast qualifier Tony Hunt was involved in an incident during the race and spent part of the evening at a local hospital. 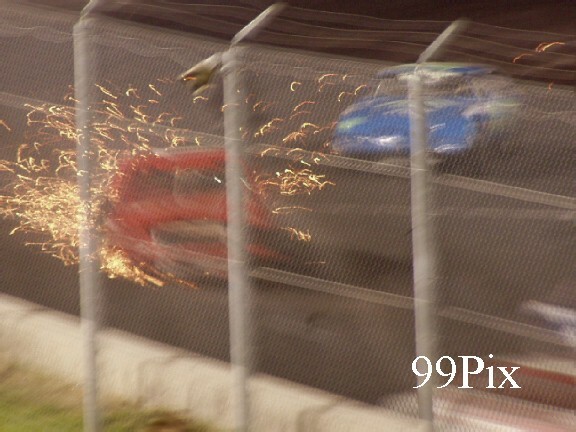 Hunt's racer hit the turn one crashwall, rode around the top and went out only to be caught by the saftey fencing. 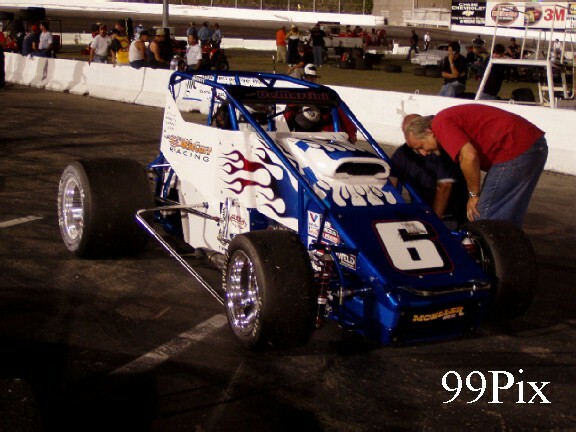 Hunt was one of four heat winners. Others included Barber, Shauna Hogg and Mike Murgoitio. 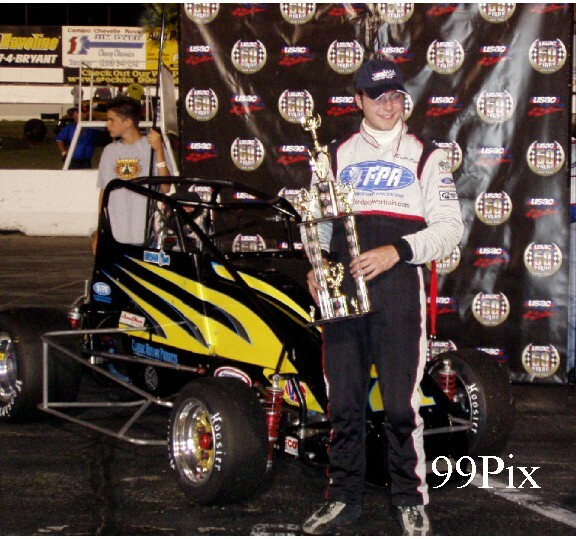 Matt DeMartini, #6, won the 15-lap semifeature. 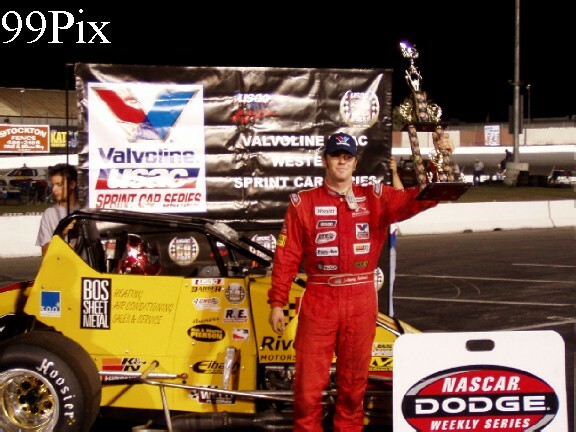 Swanson’s fourth-place finish, coupled with Hunt’s 21st-place run, gave him a 45-point advantage heading into the Sept. 5 race at Rocky Mountain Raceways in Salt Lake City, Utah. 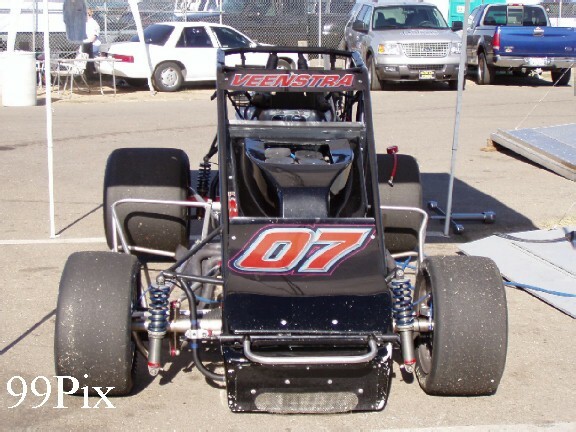 INDIANAPOLIS – Brian Olson, #71, of Puyallue, Wash. won his first career USAC Western Midget Car Series race Saturday at the Stockton 99 Speedway in Stockton, Calif.
Olson, the night’s second fastest qualifier, zipped past Brian Gard, #57, on Lap 8 of the 50-lap feature and led the remainder of the way to beat Ryan Kaplan, Bradley Galedrige, #29, Robby Flock and Ben Petter. 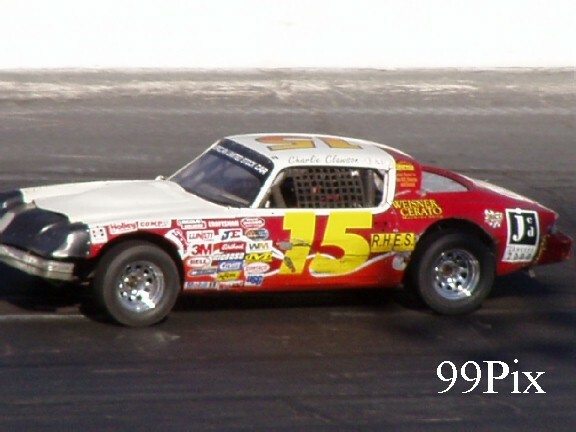 Tony Hunt, #4, who finished sixth, set the night’s fast time with a lap of 13.529 seconds. 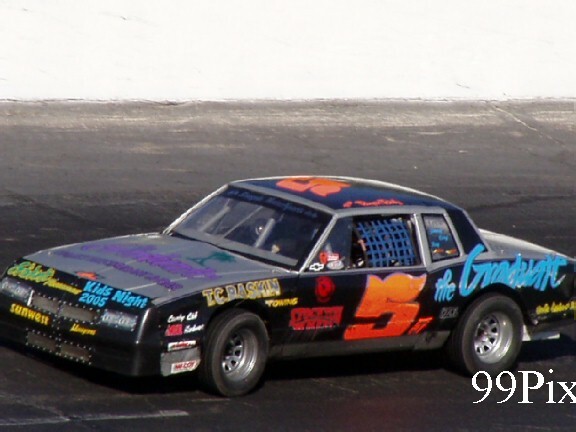 As a result of his fourth-place finish, Flock, sighting a fifth series title, opened his point lead further on Jerome Rodela, #5, leading now by 93 points heading into the Sept. 11 “Fred Gerhardt Open Wheel Classic” race at Stockton. The event is scheduled to be a 100-lapper. 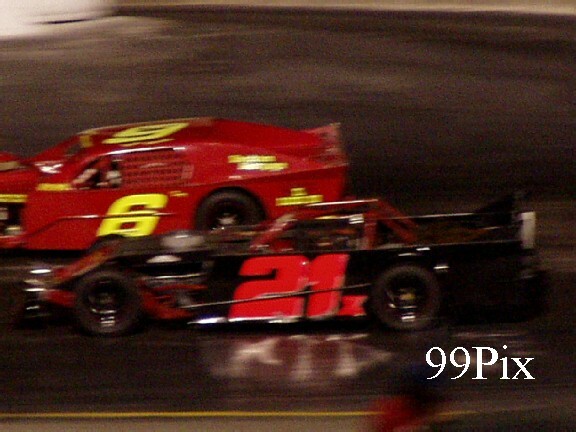 STOCKTON, SATURDAY, AUG. 27 -- Citrus Heights Jay Linstroth, #10, came from a third place start to win the 50-lap Grand American Modified main event. 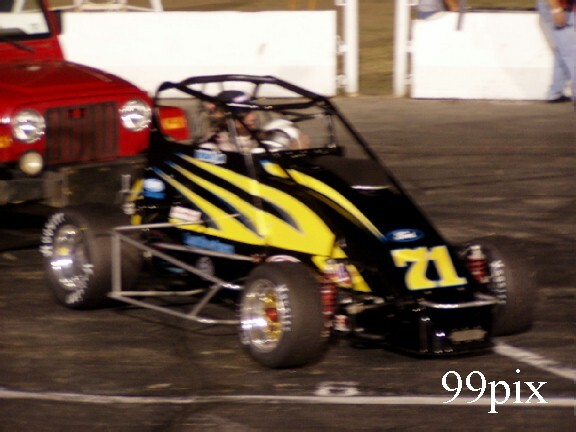 Modesto's #21, Kyle Gotulla held the lead for the first 20 laps, with Linstroth on his tail the whole time. By lap-25 Linstroth had taken a narrow lead, then in lap 30 Gottula's right front tire went flat, which sent him to the infield. 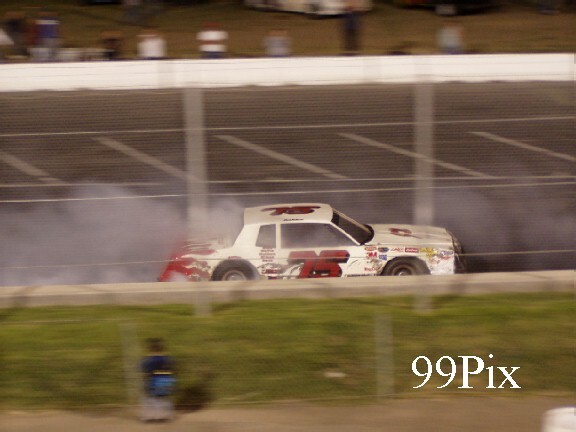 Linstroth then l ed the final 20-laps to the checkered flag. Gottula would return, but it was too late for him to mount a comeback. 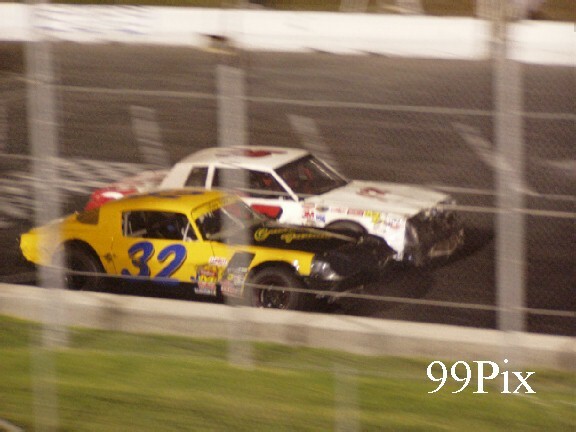 By the time the race ended the drivers had had to maneuver their ways through four cautions, until finishing under the yellow. Salida's #2, Sam Solari finished third, Modesto's Mike Beeler came in fourth and Dixon's Jerry Dubach rounded out the top five. 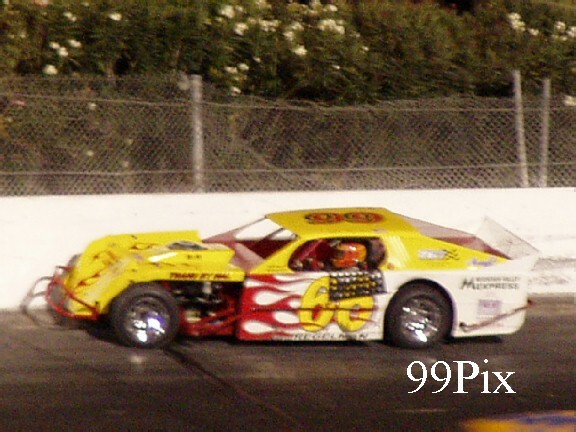 Ripon's #66, Mike Regelman won the four-car trophy dash and checked in with the second fastest qualifying time. 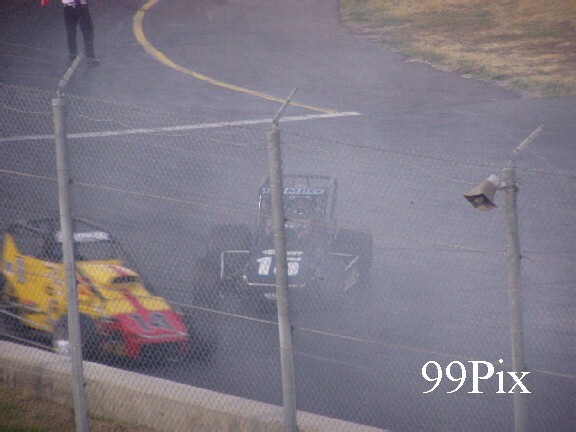 #66 Regalman raced hard in the main but ended up in the wall. (left). 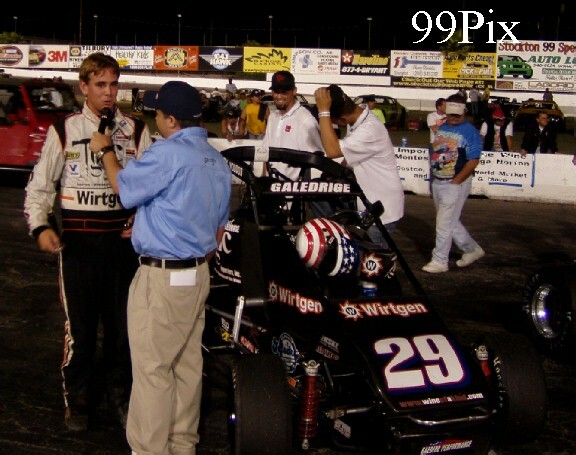 Linstroth earned second in the dash, Philpot, #5 came in third and Solari finished fourth. Stockton's #75, Chad Holman emerged as the winner of the anything goes, caution filled CL BRYANT American Limited Stock Car 30-lap main. 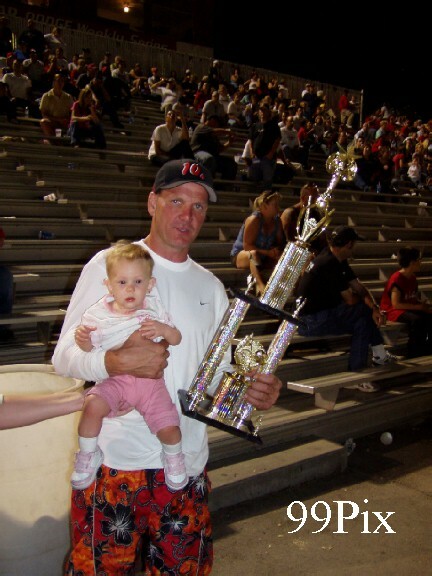 It was Holman's fourth ALSC win of the season. 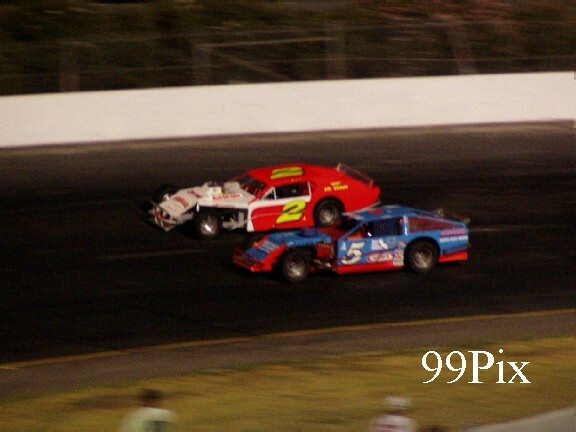 Stockton's #1, Joe Allen was on his way to a fifth place finish before he lost his wheel on lap-29 in turn-2, that didn't stop him from finishing the race. 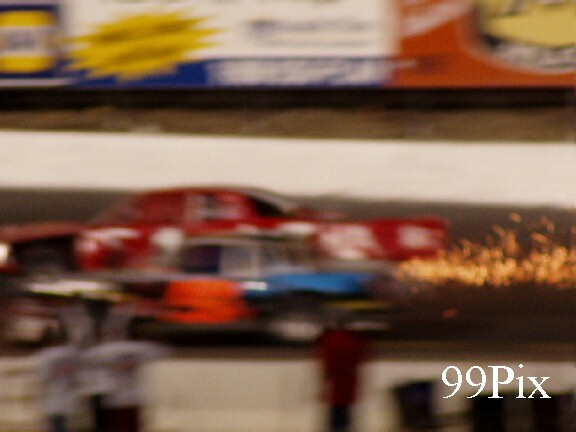 He pushed the red number 1 to its limit, crossing the finish line on three wheels and a right, front rotor. Allen's finish put on a fireworks display that almost rivaled the track's Fourth of July show. 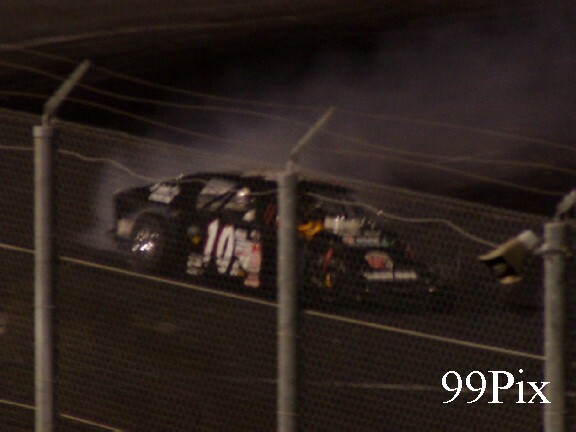 Sparks really flew as the wheel-less number one slid across the finish line for a seventh place finish. 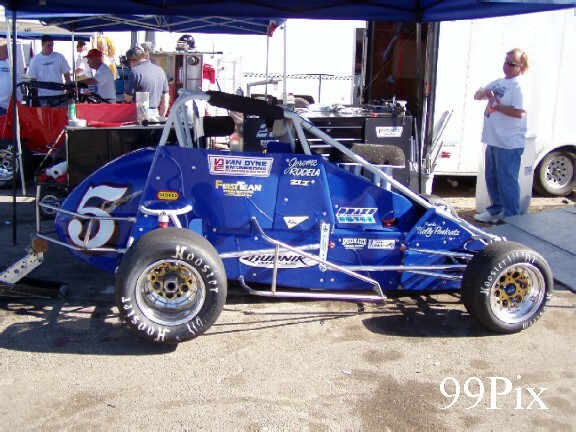 Escalon's Darrell Hughes came in second in the ALSC main, Stockton's Richard Harper piloted The Graduate number 5 car to third, Modesto's #15,Charlie Clawson came in fourth and Stockton's Tom Dahl came in fifth.